Right - we can't live on light alone. But also without light. In the South there is light in abundance - even in winter. Naturally "natural" is better. But colored light is not bad either. Especially, if we can control it ourselves. No wonder that the Christian Genesis story begins with this incantation. Light also plays a key role in other religions. Hindus, for example, have Diwali - the festival of light. Colored light is also no modern invention at all. In the Middle Ages, they started to build cathedrals with windows of colored glass panes. Rays of sun passing through them create a mystical mood - even for enlightened fellows. Apropos of enlightenment. Today, we obviously know, why light is so important. Without light, we would not even have oxygen in our atmosphere. No plant would grow, neither animals nor human beings would exist. ... is one of the most popular Beatles songs. No wonder - we are doing well when the sun is shining. And that's no imagination but measurable. 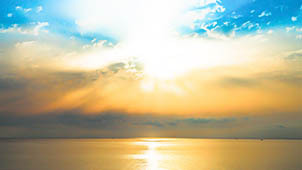 We owe to the sun not only our pure existence, but also our well-being. Thus, we like to go south for the winter - for instance to Sicily. First of all there was light and then the colors came into the world. It all began with the chlorophyll of the plants. They use it to gas up energy from sunlight. So, green is the basic signal for nutrition - no wonder that it calms us down. The second coup of the plants was the red color of ripe fruits. It indicates wholesome nutrition. But red also stands for blood and fire and thus it red-flags(!) dangerous situations. Sky and water are blue - but only from afar. Blue is the favorite color of most people - independently of culture. It is the color of trust. Colors are the oldest communication system in the world. They have the same impact on us as light. 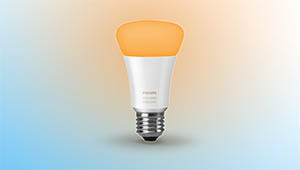 Therefore, modern lighting systems as for instance Philips Hue make much more than simply light - they create mood.